Do you know the very first thing he did with them when he brought his recruits into the very first practice? He would teach them to put their socks on and tie their shoes. Why is he showing them how to put their socks on and tie their shoes? Well it's this simple. His philosophy was if you don't tie your shoes properly and you don't put your socks on properly, you're going to run up and down the court all day and you're going to get blisters. When you get blisters, you're not going to be able to run up and down the court. When you can't run up and down the court, you can't win basketball games. You have to know where to start in order to succeed. When it comes to online marketing, where should you start? 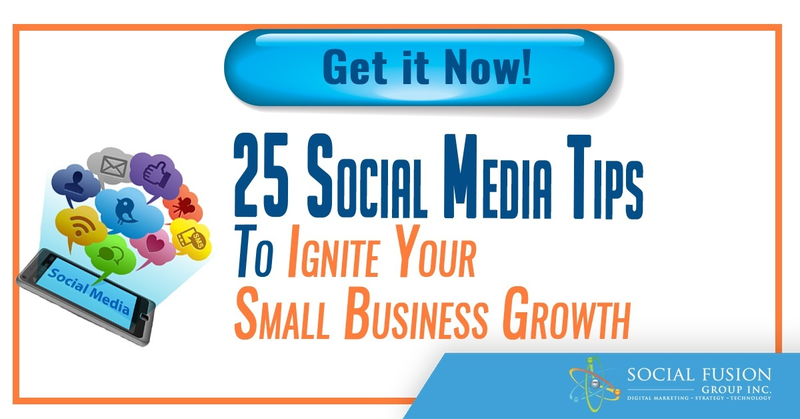 Typically, when it comes to new marketing efforts, most small businesses start with tactics. They have an idea and jump into the execution without spending adequate time considering the other necessary components. Marketers try to quench the urge to do something, without taking into account the effectiveness of their efforts, because it’s easier. They shoot first and hope for the best. This is not an effective pathway to success. So where should you really start? Like Coach Gooden would tell us, you need to start with the basics, a goal. Coach Gooden’s goal was likely to win the game, your goal is likely to achieve X number of new customers, generate Y amount of revenue, or convert Z leads to sales. You need get your business objective nailed down and converted for traffic, for leads, and ultimately the conversion you're seeking. Once you have established your goals you need to monitor, track, and refine them throughout the process. See what is working and what isn’t; don’t be afraid to take a step back to tweak your goals when necessary. Now that you have your goal as a starting point, you need to determine who you’re talking to and where they are in the funnel. 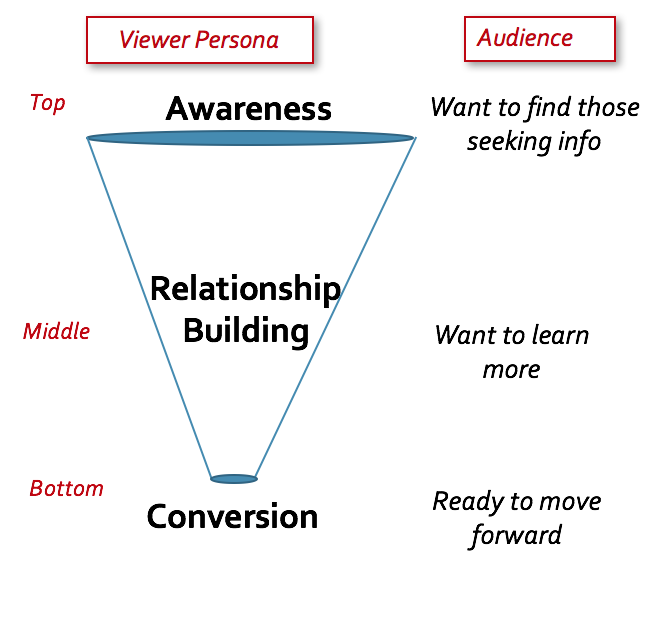 Is your audience at the top of the funnel? If so, the goal at the top of the funnel is to generate awareness, because somebody has a pain, a need, or an interest that they're looking to get some solution for. What you're looking to do is meet them online with the solution. What this comes back to is you're connecting with those that are seeking information. Once they get into the funnel, they have some sort of relationship that is existing with you or with the issue at that moment. What they're looking to do is not get some entry level information, but they want to learn more. Perhaps they want a success story or a case study. They're looking to get a deeper direction because ultimately, as they get down to the bottom of the funnel, they are warmed up and prepared to take an action. Your sales are most likely to take place at the bottom of the funnel, but it is your job to provide them with the right information to move these prospects through the funnel. 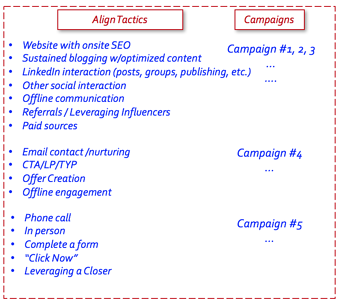 Take a minute to reflect upon the difference between this clear-cut path to developing your tactics versus the alternative of jumping right into tactics without considering your goals or your audience. At this point, you have identified your goal and located where your audience is at within the funnel. Now you can start diving into your tactics for achieving your goal. If your goal is traffic based, you should have a good barometer for where you currently stand on an average monthly basis so that you can properly determine what you need to do to close your gap to reach your goal. For instance, if you have a monthly traffic goal of 3,000 visits and you currently get 2,500 hits a month, your tactics will look quite different than if you are only getting 500 monthly visits. 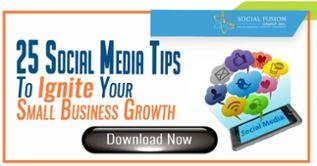 Making up the difference between 2,5000 visits and 3,000 may include tactics like social interactions and email. Alternately, if you need to go from 500 to 3,000, your tactics are more likely to include things like paid search. Your challenge as an online marketer is to keep this process in the forefront of your mind whenever you are planning your strategies. What is your goal? Who are you talking to? How are you going to hit your goal? This is not a one and done flow; it needs continual and constant refinement. John Jantsch of Duct Tape Marketing says, "Online marketing must become a habit that’s practiced daily." Once you become confident in following this format for planning and execution, you will find that your successes are easier to duplicate and your failures are easy to break apart. Remember, serendipity is not a growth strategy!